Last summer I was invited to present the “English for all” project at the Democrat Party house in Bangkok. 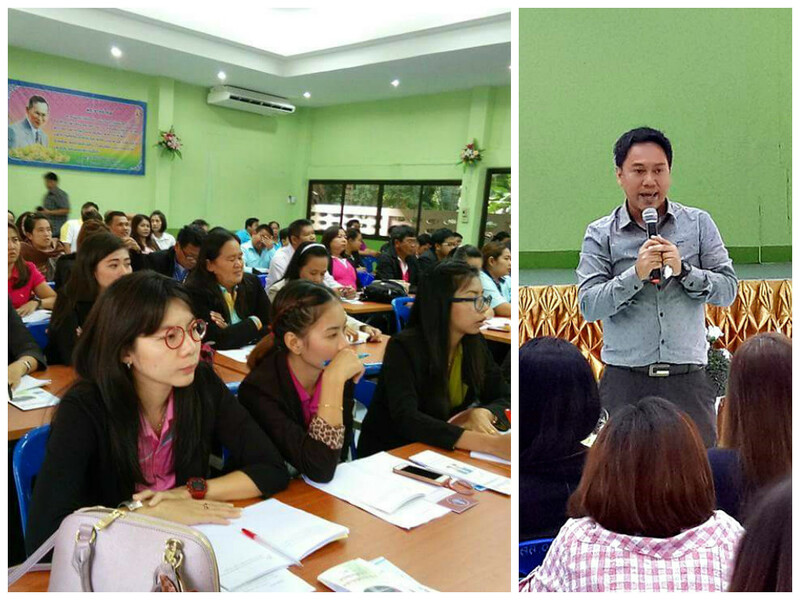 One of the participants Deputy Chief Executive of the Provincial Administration Organization of Kanchanaburi Mr. Somphop Thirasan, was so interested in making this project in his province possible. His team of about 100 people, both local government officers as well as teachers from primary and secondary schools, arrived in Sapanteesam today. They observed our new teachers for the second stage of the project and commended them for a job well done. They were impressed about the project’s successful outcome and the teachers teaching techniques. “Filipino teachers are really good in teaching kids. 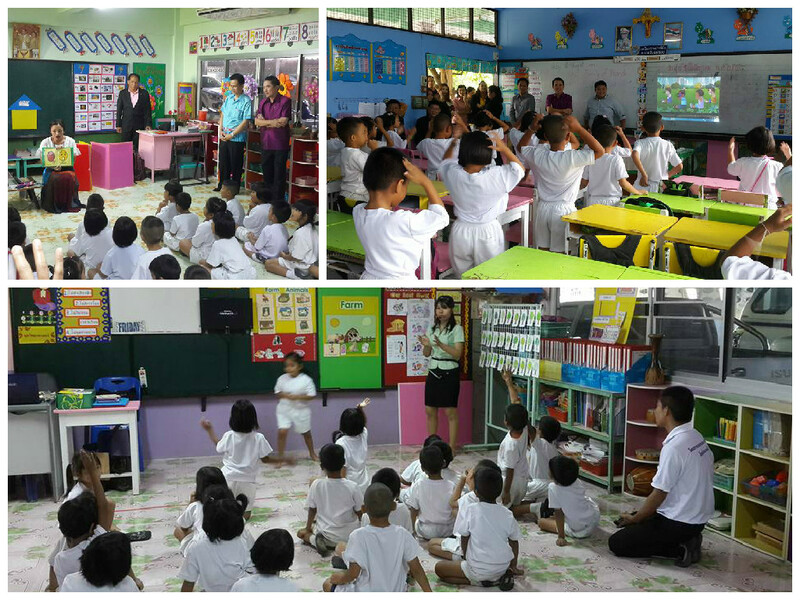 They always have interesting and fun activities,” said one of the teachers from Kanchanaburi. Mr. Somphop revealed to me that prior to their coming, his province already allotted a budget for the next school year dedicated for hiring teachers. 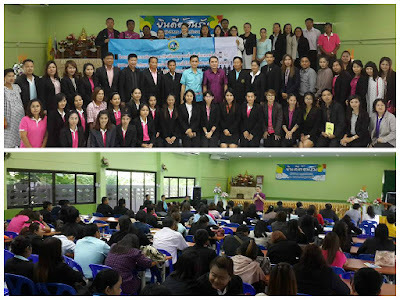 “The fiscal year or budget year in Thailand starts in October every year, but we already allocated a budget for the next school year to hire foreign teachers,” he said. “I already saved your email and your phone number, John. I will keep in touch if I have some questions or if I’ll be needing your help with regards to recruitment of teachers,” he added. That said, I’m pretty sure there will be more Filipinos who will be teaching in Kanchanaburi schools soon!